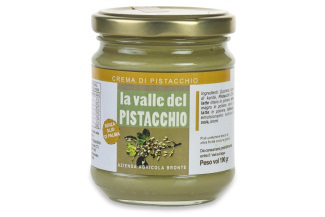 Pistachio cream and pesto, semi-finished pistachio, pistachio grain, ground pistachio and into its shell. Goodness to which it is impossible to resist. 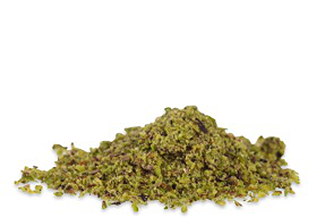 Unshelled natural pistachio available in a comfortable 500 grpack. 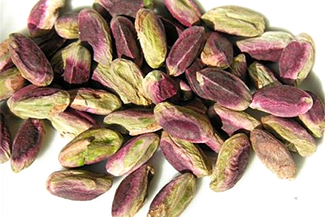 The pistachio can be appreciated as a natural snack, but finds its classic and traditional use in many preparations confectionery and food: ice cream, cakes, creams, first and second courses. 100% natural pistachio harvested in Bronte lava area, shelled and not peeled. It is available in vacuum pack without the addition of salt to keep all its flavor and aroma intact. 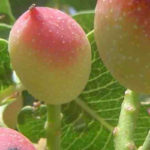 The pistachio can be appreciated as a natural snack, but finds its classic and traditional use in many preparations confectionery and food: cakes, creams, first and second courses. A delicious and genuine product of our traditional Sicilian cuisine. It is made by mincing shelled pistachio and available in vacuum pack to maintain its bright green color and its intense and aromatic taste. Ideal for decorating cakes, desserts and baked goods. 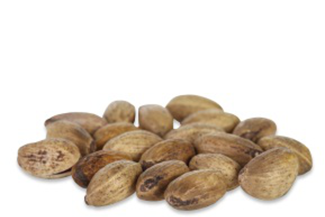 It is handcrafted using strictly the whole pistachios produced within our company. The product is sold in a comfortable vacuum pack that keeps the flavor and aroma intact. In addition to being used for appetizers and appetizing first and second courses, the grain is the ideal ingredient for all pastry and ice cream processing. 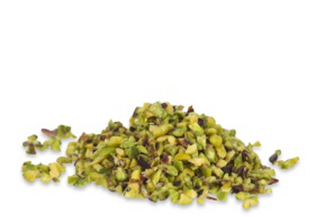 Once you taste our pistachio cream you cannot do without it. Ideal to be spread on a slice of bread, for a tasty and quick snack. To prepare also your cakes, crepes and delicious desserts. The Bronte pesto is a tasteful condiment that will accompany your dishes and meets the requirements of the most demanding palate. 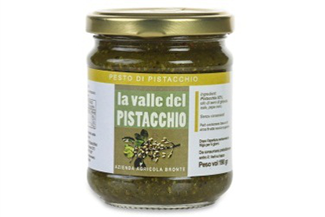 Ideal to prepare bruschetta and as condiment of meat-based second courses, it naturally goes well together with pasta, preferably seasoned after cooking with a sprinkling of pistachio grain. 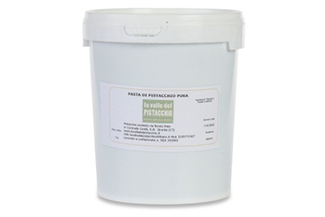 The pistachio paste is the result of a careful selection of the raw materials, made from our roasted and refined pistachios. The product can also be used with excellent results in confectionery, for fillings, pastry making and icing.